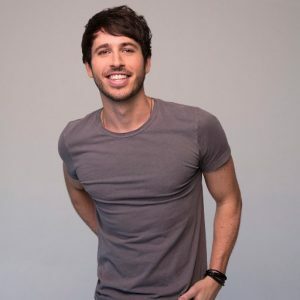 MORGAN EVANS is extending his international reach with the announcement of six shows in Europe this summer. Showcasing his “eclectic musicality” (MusicRow) and “phenomenal solo set” (Rolling Stone) overseas, the Australia native is set for five headline dates across multiple cities and a top-notch festival appearance at The Long Road in Lutterworth, U.K.
Kelsea & Morgan Get Married! Kelsea Ballerini and Morgan Evans are married, their reps confirm to PEOPLE exclusively. The country music stars tied the knot in an intimate oceanside ceremony Saturday evening, exchanging vows in front of family and friends on the beach in Cabo San Lucas, Mexico. The Grammy-nominated singer walked barefoot down the aisle and wore a simple, classic gown with lace details by Berta, while “Kiss Somebody” singer Evans wore a suit by Joseph Abboud. The newlyweds exchanged David Yurman rings with customized messages engraved inside. Read the full story HERE.